CD ONLY! 500 COPIES LIMITED EDITION!!! 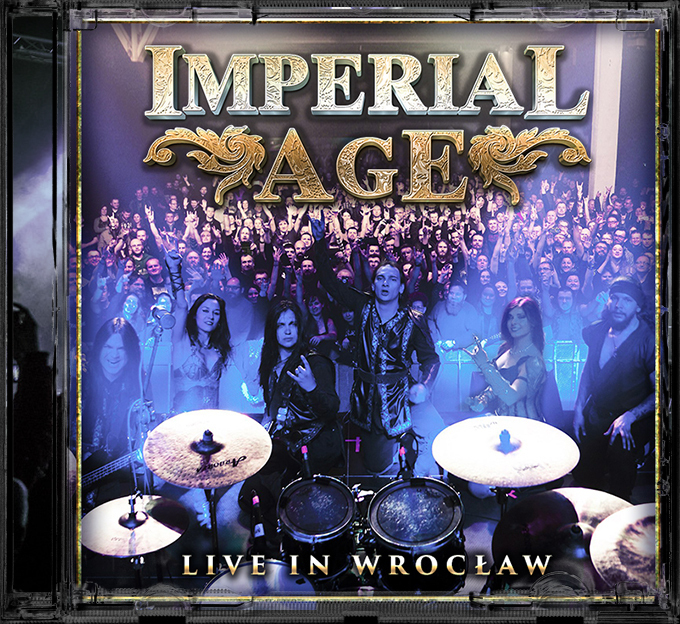 First ever live album by Imperial Age. This LIMITED (only 500 copies!) edition contains never-released-before material: three demo tracks and a legacy intro track that has been used by Revelance (the previous band of Aor) and Imperial Age from 2006 to 2013!! 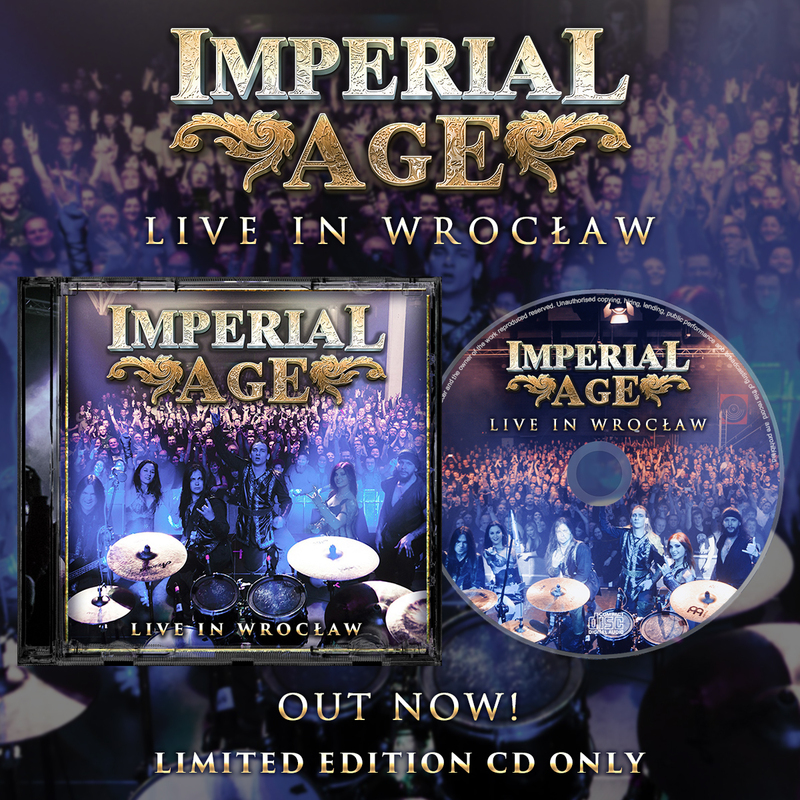 The live album itself was recorded in March 2018 in Wroclaw, A2 Centrum Concertowe. It features tracks from The Legacy of Atlantis album (2018), Warrior Race EP (2016) and Turn the Sun Off! album (2012) - as the band played them at 59 concerts in 25 countries - all published live without any editing. We did not tune the vocals, we did not tune guitar solos. We just mixed and mastered the live tracks AS THEY WERE!! The The Turn The Sun Off! demo dates back to 2010, before Imperial Age has been formed as a band. The other two demos come from the latest album The Legacy of Atlantis. And I shall Find My Home was made in October 2016, with the previous band line-up. Domini Canes (featuring Thomas Vikstrom of Therion on vocals) was done in October 2017. Once the 500 copies are sold, the ordinary version of the album will be released, without the bonus tracks! Strike while the iron is hot! Recorded on 16 March 2018 at A2 - Centrum Koncertowe , Wroclaw, Poland. Mixed and mastered by Sergei Lazar (Arkona) at CDM Studios, Moscow, in April 2018. 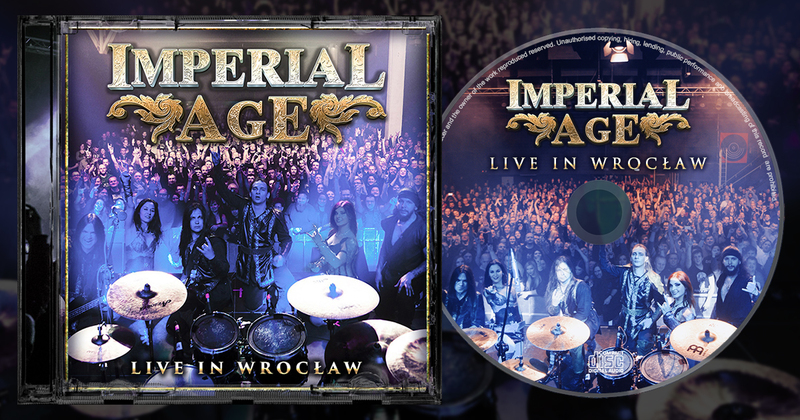 Cover artwork by Alexander Osipov, photo taken in Wroclaw right after the concert by Milly Evans.